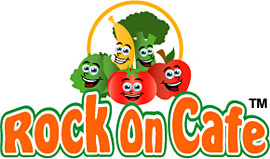 I hope that you are enjoying the Rock on Café Food Service Program! Our school lunches are affordable, convenient, and healthy! Check out our nutrition page for more information! The Food Service Department plays a very valuable role in helping our customers meet their maximum potential. We provide delicious, nutritious meals that energize the mind & body. I hope you find this website helpful and easy to use. If you ever have any questions or concerns please do not hesitate to e-mail me at mbordeau@btboces.org. Click on the link below to apply for Free/Reduced meals.